The Spanish government is correcting “a historic mistake,” as the nation passes a new law looking to become home to the descendants of many Jews, who were exiled, burned at the stake or forcefully converted in 1492, during the Spanish Inquisition. 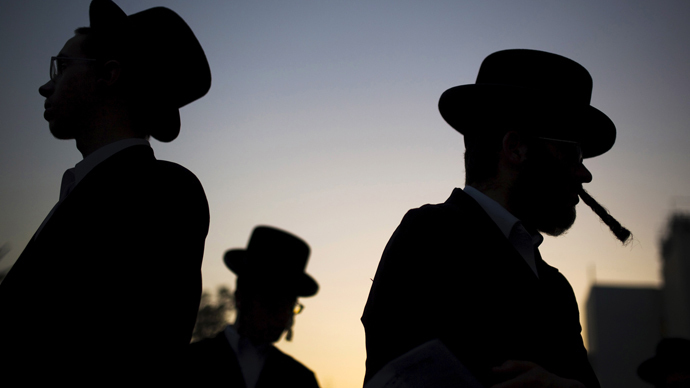 The bill, which comes into force in October, will give citizenship to thousands across the globe with Jewish ancestry, known as Sephardic Jews, provided they can prove their ancestry. The new law passed on Thursday was greatly anticipated by the descendants of many Jews, who suffered at the hands of the Spanish. Under the previous law of 1924, the government would grant them Spanish citizenship on two conditions: that they were residents of Spain and that they gave up their previous citizenship. The new law will bring these applicants’ privileges in line with those enjoyed by Spain’s former colonies, as well as Portugal and Andorra. "This law says much about who we were in the past and who we are today and what we want to be in the future, an open, diverse and tolerant Spain," Justice Minister Rafael Catala said, before the document’s approval, according to AFP. The law has had the backing of two of Spain’s major political parties and has been approved by all. The one criticism leveled at the bill came from an opposition party, which took issue with the fact that it’s only Jews and not, for example, citizens of abandoned former colonies, such as Western Sahara, which hasn’t been Spanish since 1976. Government officials estimate the number of those that meet the new criteria to be around 90,000, though they’ve stopped short of issuing concrete estimates, as there’s no precise way to tell. Global Sephardic groups themselves believe those who could benefit could amount to 3.5 million, according to El Pais. The sentiment was echoed by the president of the Spanish Federation of Jewish Communities, Isaaq Querub, whose own family had to flee to North Africa. "This is a historic day, an important day, an emotional day," he said. Many people will be applying even without an express need to live in Spain, but “for emotional reasons,” as is the case with retired French literature professor Kelly Benodius Basilio, of Moroccan descent, but who has Portuguese citizenship through marriage. As a child, she learned lullabies in haketia, one of the Jewish languages with roots in Spain. "Tradition and memory are very important in Jewish culture," she said. Other countries with Sephardic Jewish populations have been showing interest in the law as well, including Argentina, Brazil, Venezuela and Turkey. The way the law works is by presenting proof – essentially a Jewish community card or an ancestral marriage or birth certificate. This should be backed up with proof of links to Spain, either through family or knowledge of Spanish, sometimes even through contributions to Spanish organizations. Latin Americans will be able to apply online and can obviously skip the mandatory language test, one of the conditions of integration into Spanish culture set forth by the Cervantes Institute for all applicants. But people need to hurry – there’s a three-year period to apply for Spanish citizenship once the law has come into force.